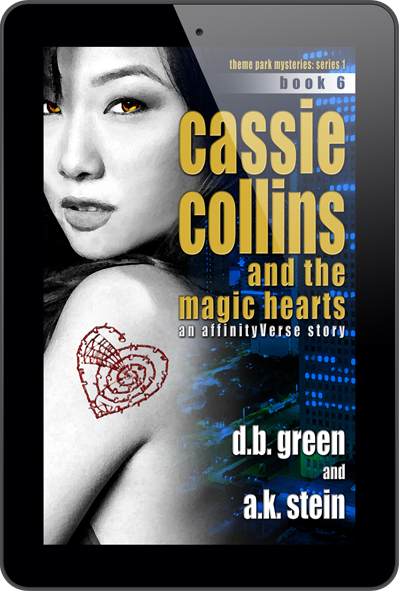 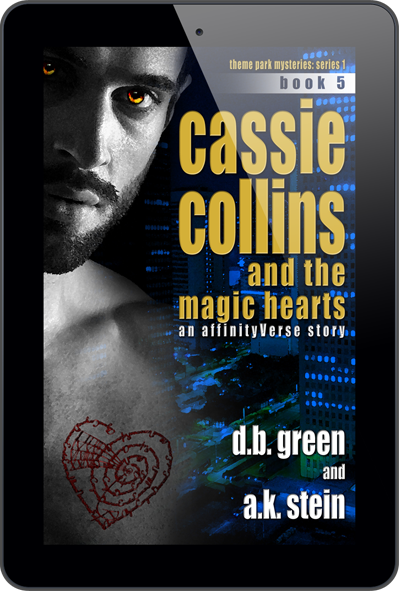 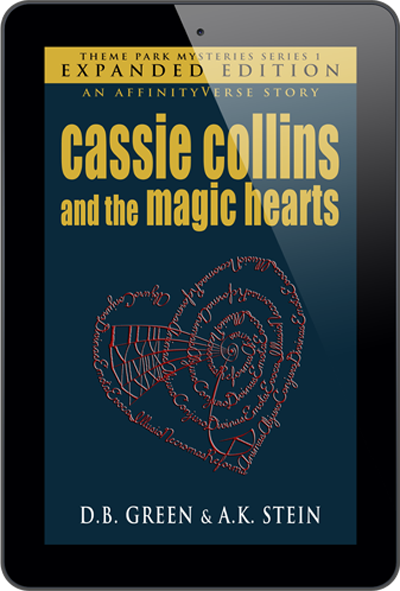 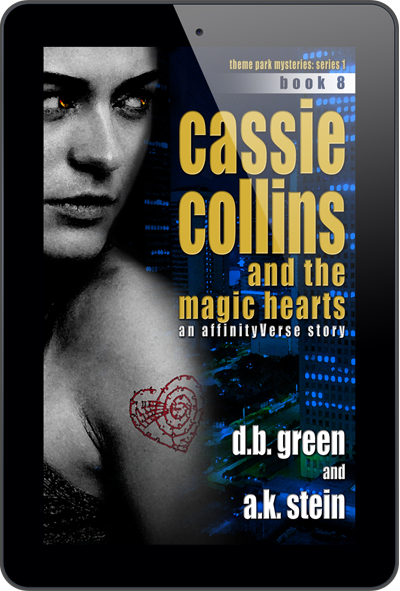 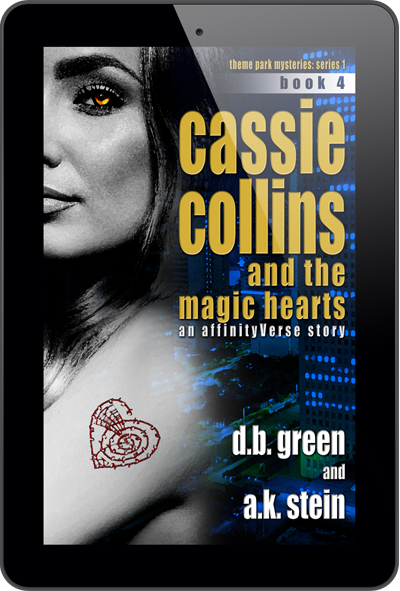 This Expanded Edition of Cassie Collins and the Magic Hearts features an additional 18 new chapters exploring the story from a different POV. 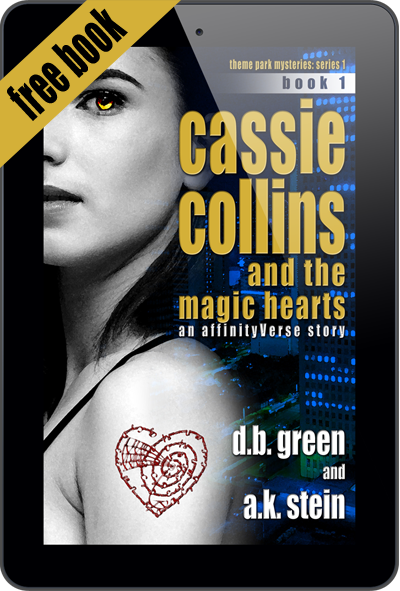 This novel will give you that roller coaster thrill ride of fast-paced event TV. 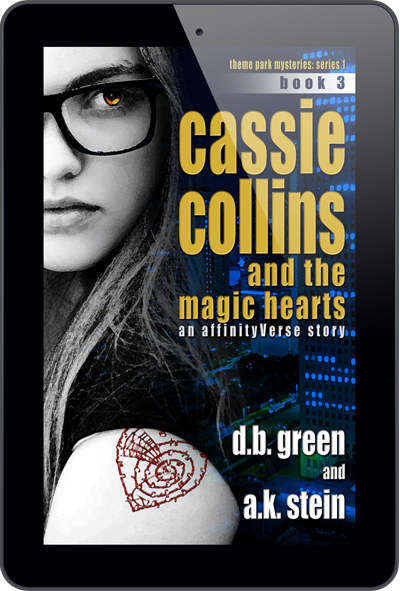 Twists and turns that will not only keep you on the edge of your seat, but have you clinging to it for dear life. 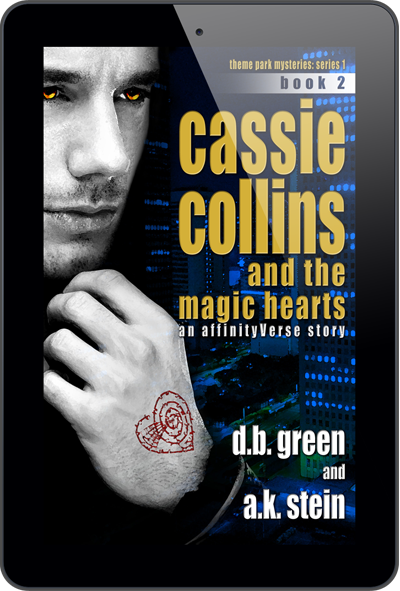 GET THE EXPANDED EDITION FROM THE STORE LINKS BELOW! 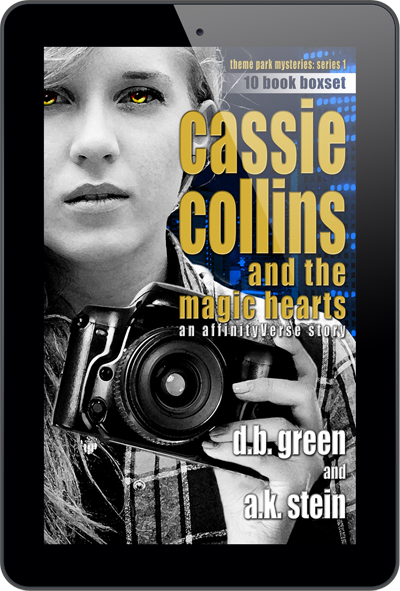 Orlando House Publishing brings you Theme Park Mysteries. 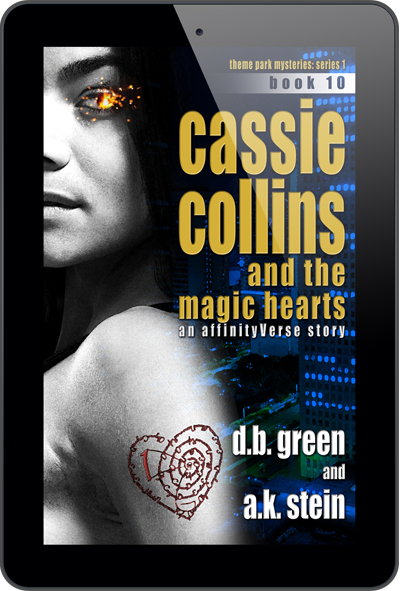 An innovative series, where each book will give you that roller coaster thrill ride of fast-paced event TV. 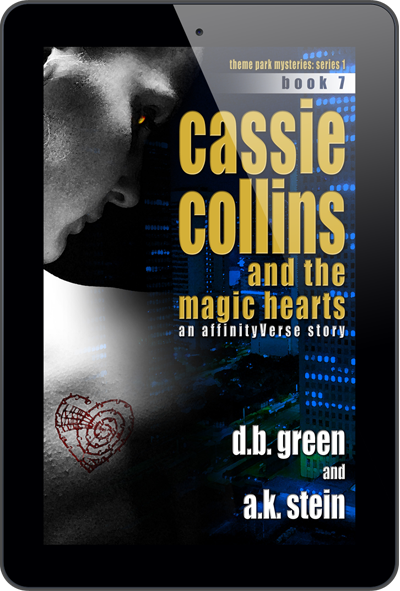 Twists and turns that will not only keep you on the edge of your seat, but have you clinging to it for dear life. 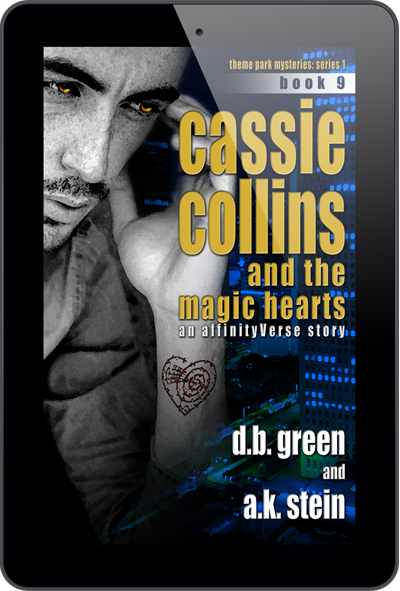 Written by authors D.B Green and A.K. 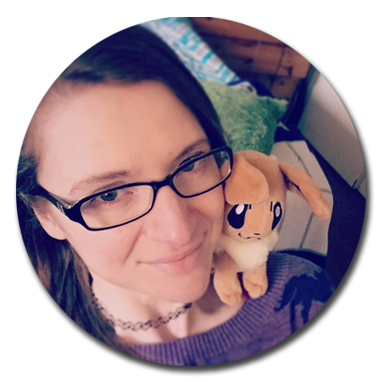 Stein. 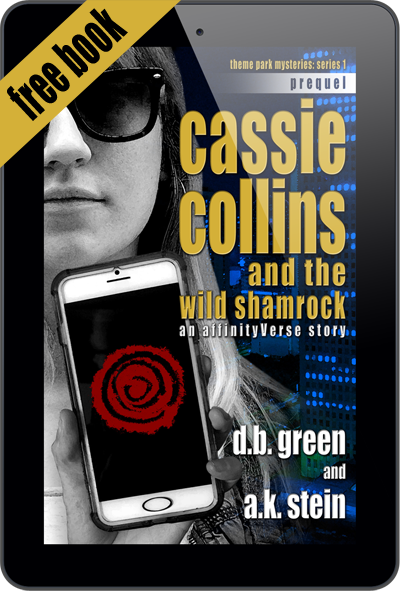 After a one in a million chance meeting on an online forum, a partnership was born, and even the Atlantic Ocean couldn’t stop Green and Stein from creating new worlds together. 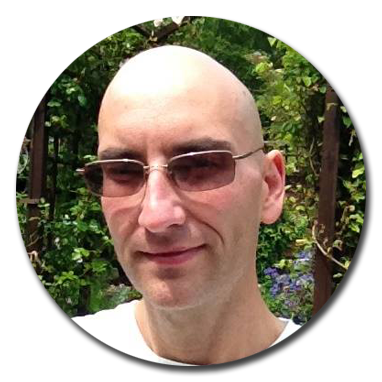 To find out more about the authors please click the images below.